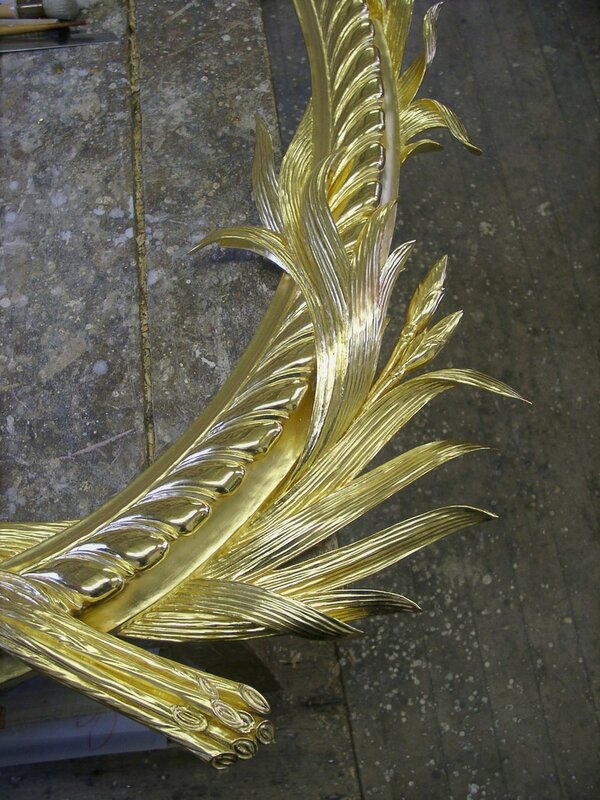 We make pieces in many styles, complexities and finishes. With our knowledge and experience we can provide clients with ideas, budgets, and preliminary sketches for developing new designs. 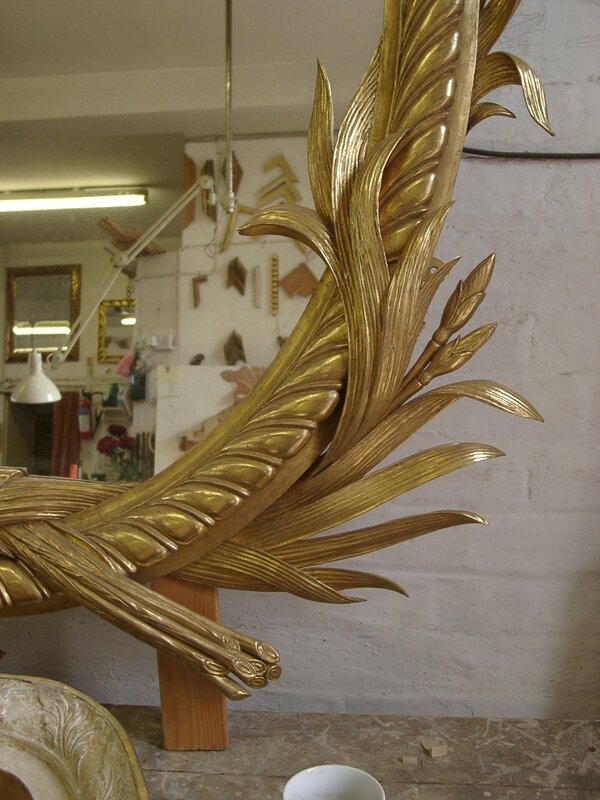 Finishes include gesso-cutting, gold or silver leaf, oil and water gilding, parcel gilding, decorative painting, staining and polishing and other timber finishes. 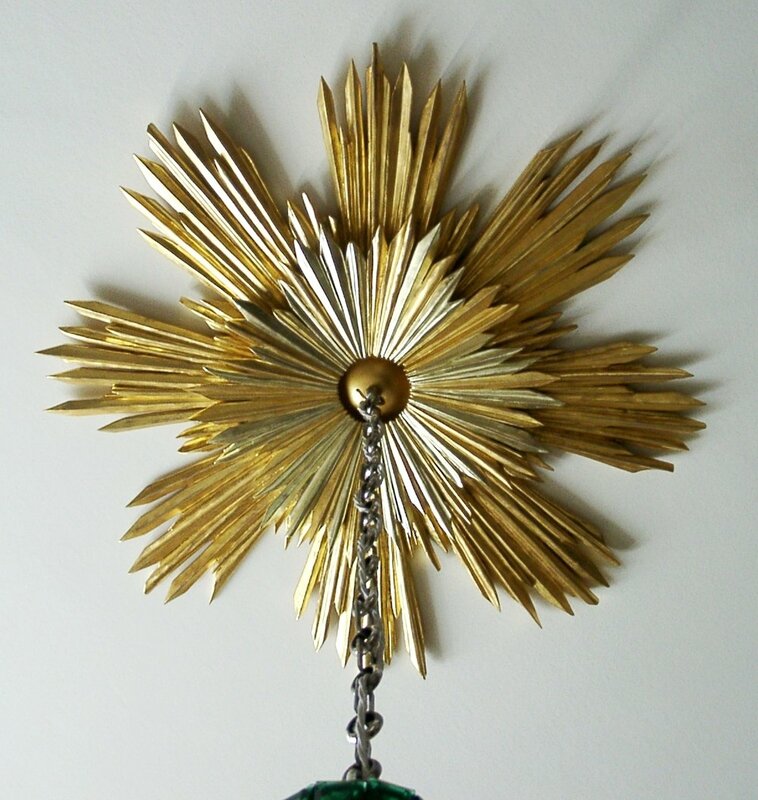 We welcome the opportunity to use these techniques in contemporary as well as traditional designs. We can make very accurate copies where the client gives a valid reason, for example to complete a set of chairs or a pair to a mirror or table. 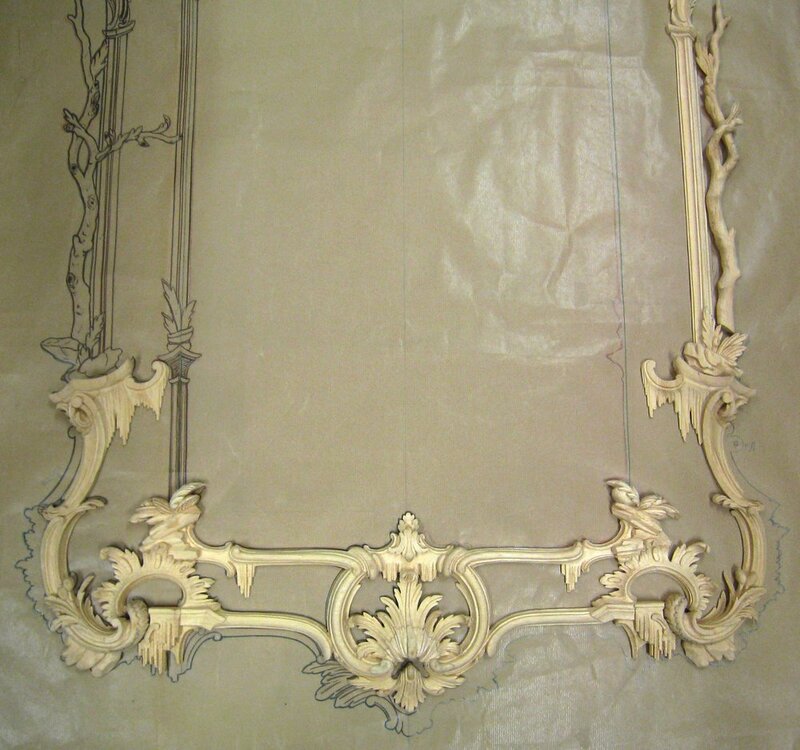 If you would like a mirror, picture frame or piece of furniture designed and made to suit a particular setting, do contact us. We like to have a preliminary meeting either on site, to look at the context for the piece and discuss design ideas, or at our workshop where we have an extensive archive of designs, drawings and photographic references of historic items. 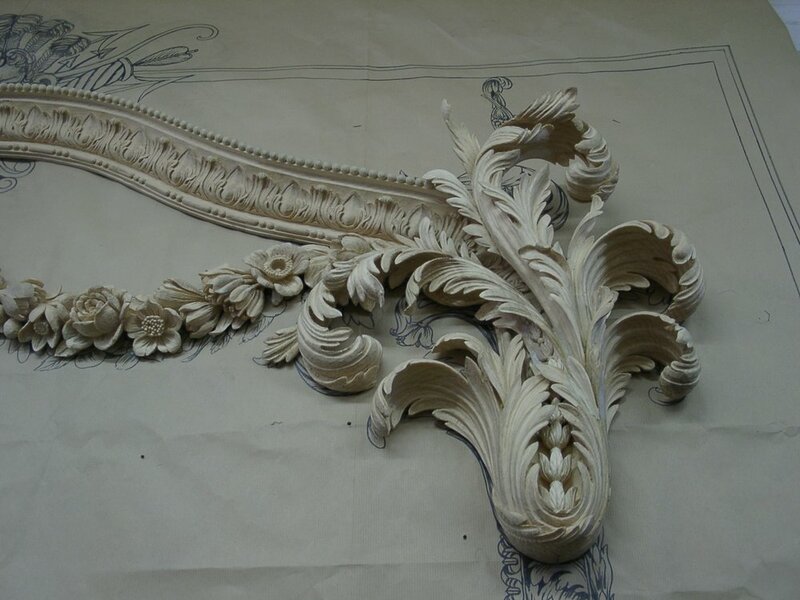 Preliminary sketches are initially made for approval before full size drawings are produced. Designs can always be modified to fit within your budget. 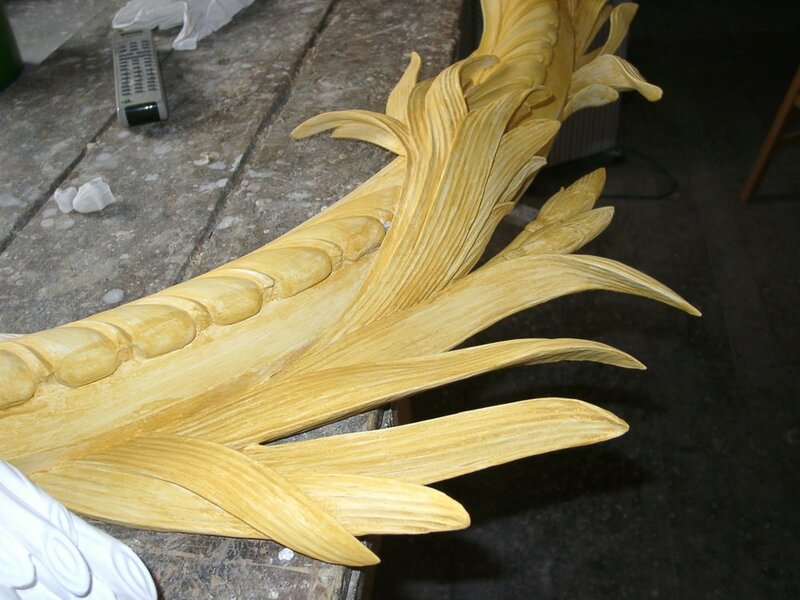 We encourage our clients to be involved in every step of the commissioning process and to visit the workshop during the making of your piece.